MotionSource offers the full line of RAASM pumps, reels, and dollies. 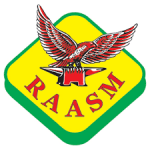 Founded in Italy with its US headquarters in Charlotte, NC, RAASM pumps are heavy duty and recognized as one of the world’s premier manufacturers of fluid-handling equipment and systems. RAASM is an economical solution for a wide variety of your fluid handling applications. RAASM pumps and lubrication products are in stock at MotionSource. From military to industry, agriculture to mining, RAASM pumps are workhorses that can be counted on in adverse conditions. Built with a quality and commitment to our customers, extended warranties are available on RAASM products from MotionSource. As a premier RAASM partner, MotionSource is your Source for genuine RAASM products and warranty repairs. With over 150 years of aggregate engineering experience, MotionSource is considered the technical “go to” Source for all things RAASM. We can design, engineer and install custom and standard applications. Though it seldom happens, when your RAASM equipment needs repair, MotionSource is a full-service RAASM repair center as well. Need technical advice? It’s always free, just call 888-963-MOTO (888-963-6686). Call us for a free quote, 888-963-6686 or email Sales@MotionSource1.com or simply complete the Quick Quote form to your right and we’ll give you a call back! With the best pricing and your RAASM pump in stock, there’s no reason to go anywhere else. Make MotionSource your Source. Need help with engineering, servicing or with the installation of your RAASM pump? MotionSource has a 24/7 full-service team ready to help with what you need, when you need it. Our service technicians are professionally trained and certified to help with your pump and auto lube needs. We have designed and completed thousands of customer installations and are recognized as the industry leader.